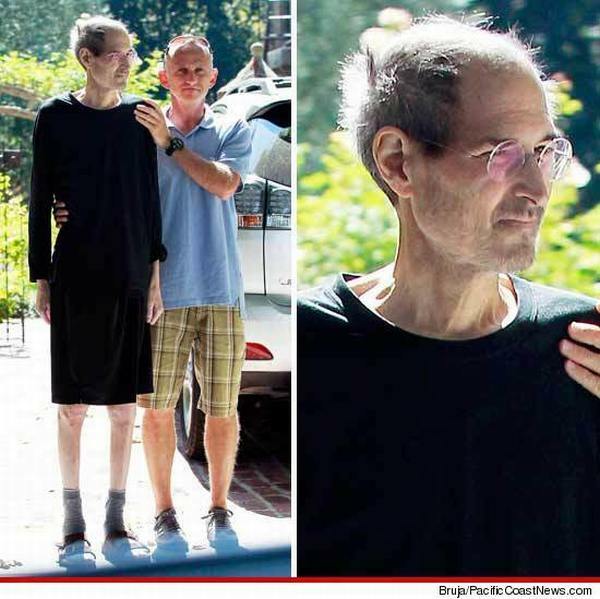 Steve Jobs had been diagnosed with a cancerous tumor in his pancreas in 2004. Forbes has estimated his net wealth at $5.1 billion in 2009, making him the 43rd wealthiest American. However.....In this picture of him was taken two days after he resigned as the head honcho of Apple. Very sad.